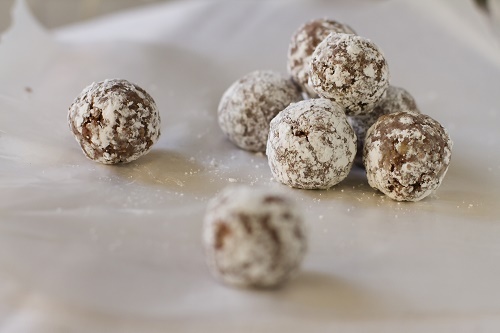 Use an electric mixer to beat ½ pound of softened butter, ½ cup of powdered sugar and vanilla extract until the mixture turns light and airy. Fold in 2 cups of all-purpose flour and ¼ teaspoon of baking powder until the mixture is properly blended. Add in a cup of chopped-up pecans. Roll the dough into balls and bake at 300°F for 25 minutes.